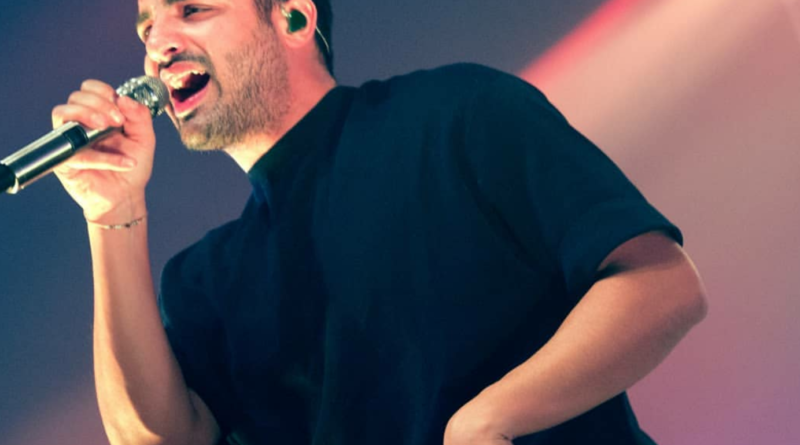 On November 9th 2018, a packed MTELUS (formerly known as the Metropolis) anxiously awaited the performances of opening act Lights and the night’s headliners, Young the Giant. To warm up the febrile crowd, Lights, a Canadian talent, offered a performance as vivid and flamboyant as her bright-red hair. Stunning the audience with her impressive vocal range and upbeat pop songs, she managed to keep the crowd wrapped around her finger for an entertaining 40-minute set. It seemed as though many spectators were fans who already knew the words to her songs, but she gained the heart of many others by performing an outstanding cover of “Lovefool”, which did justice to the Cardigans’ original piece. As soon as the lights dimmed for the main act, a composed Sameer Gadhia took the center stage, showered by an unappeasable roar of excitement. The band kicked off their set with one of their latest tracks, Mirror Master, accompanied by a warm welcome worthy of a Montreal fanbase. The high energy could be felt everywhere, from Gadhia’s electrifying presence all the way to a dynamic crowd that was never seen standing still. Though their setlist seemed experimental, their creative decision to incorporate a wide range of styles in the show was a carefully calculated risk, and the result prevailed beautifully. The touching acoustic performances from their “In the Open” web series had left a special place in the heart of many, as proven by the countless amount of people bracing their loved ones. In fact, it was nearly impossible to refrain from smiling or enjoying the stripped-down version of otherwise very complexly produced songs. Young the Giant’s 2010 hit “Apartment” and their alternative chart-topping song “Mind Over Matter” had the crowd unleash a new level of enthusiasm. However, no song had a better reception than the Platinum certified crowd-pleaser “Cough Syrup”, at which point everyone in the audience could be seen chanting the words to the tune that can be deemed as, so far, the highlight of their career. Furthermore, an important aspect that made the show outstanding was the staging. The showcasing of each band member was well accomplished. Each musician had an unwritten section of the stage at their disposal, divided into different platforms and underlined by a simple neon trait. The balance between minimalism and extravaganza created a spectacular visual presentation. The initial tamed decor eventually gave place to a psychedelic deluge of colours, which is to be expected from a band whose brand flaunts eccentric, dream-worthy visions. Gadhia’s fluid movements and high energy performance meshed perfectly into the concoction of audio and visual elements. Overall, Young the Giant was able to put on a brilliant show that brought together people of all age groups. The band’s use of the venue and the palpable connection between the city and the musicians are two undeniable factors that have made this concert memorable. I personally cannot wait for their return to Montreal!